There are two types of people in this world — Starbucks people and Dunkin’ people. If you fit into the latter category, you probably consider yourself an expert when it comes to the Boston-born coffee franchise. Employees at your local DD know your order by heart and you’ve sampled pretty much all of the available donut flavors. But we’re still willing to bet that you don’t know at least one of these 10 fun facts about Dunkin’. Get ready to appreciate your go-to coffee spot even more. 1. Dunkin’ has more than 70 different donut varieties. While Dunkin’s most popular donut flavors include Vanilla Frosted, Strawberry Frosted and Chocolate Glazed, the donut master has more than 70 different regional and classic flavor varieties. You’ve probably forgotten about the coconut donut and the sour cream donut, for instance. 2. Dunkin’ officially dropped its last name. 3. On an average day, Dunkin’ sells about 60 cups of coffee every second. Dunkin’ is the eighth largest fast food restaurant chain in the world by its number of locations. Dunkin’ has 11,300 coffee shops overall, so it’s no surprise that the coffee company sells a lot of cups of joe each day. On a typical day across all of its locations, Dunkin’ sells an average of 60 cups of freshly brewed coffee every second. That means that every year, the coffee giant sells roughly 2 billion cups of coffee. 4. 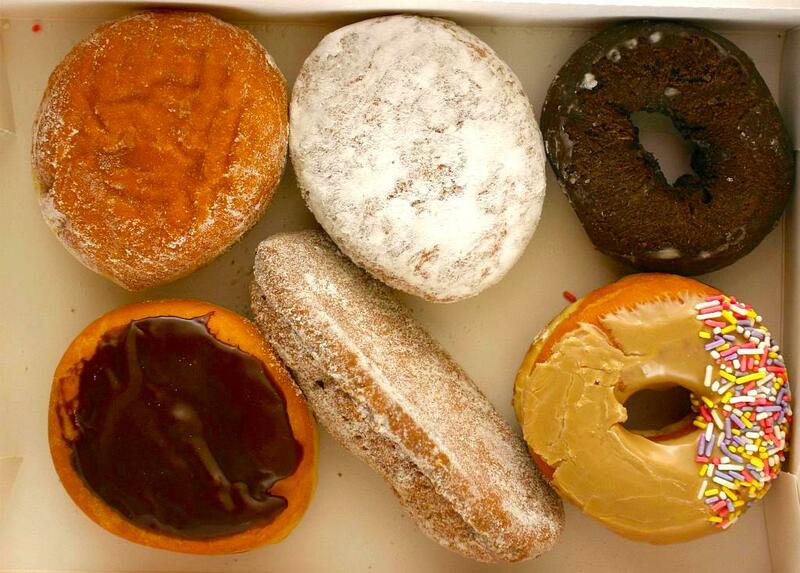 You can get a free donut by taking the Dunkin’ customer survey. 5. The OG Dunkin’ is still open. 6. 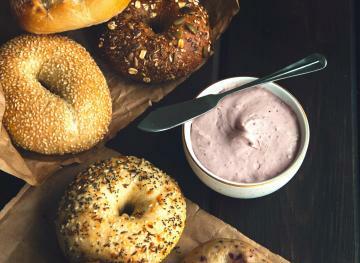 Dunkin’s “secret menu” is filled with yumminess. There’s a whole world of secret drinks that you can order at Dunkin’ even though they’re not officially on the menu — you just need to know what to ask for. 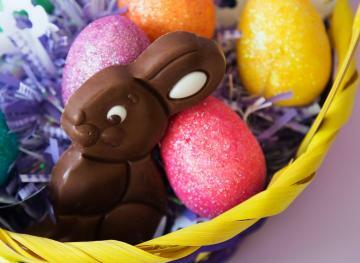 One of our favorites includes the Nutella Surprise. To order it, ask for a Mocha Iced Coffee with two added shots of hazelnut syrup. 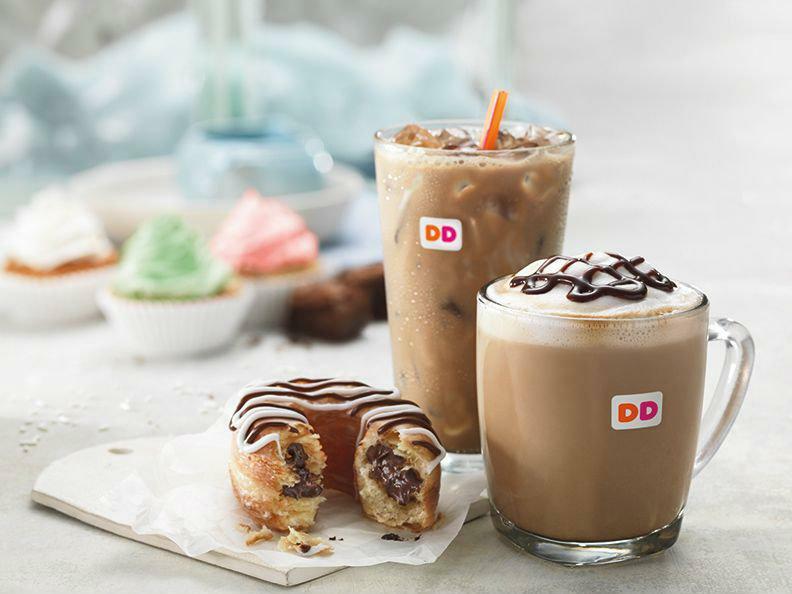 There’s also the Snickers Coffee, which you can create by ordering a Dunkin’ Donuts Iced Coffee with one hazelnut swirl and one salted caramel swirl. It’ll taste just like the candy bar! You can now buy “donut fries” at participating Dunkin’ locations. These fries are made with donut dough, tossed in cinnamon sugar and served warm. You can buy five of Dunkin’s donut fries for just $2. 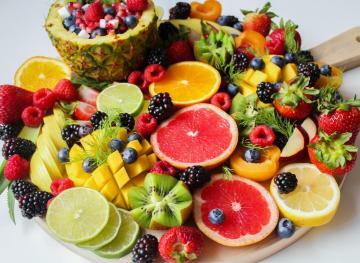 We know what we’re eating for breakfast. 8. Dunkin’ had its own running shoes. 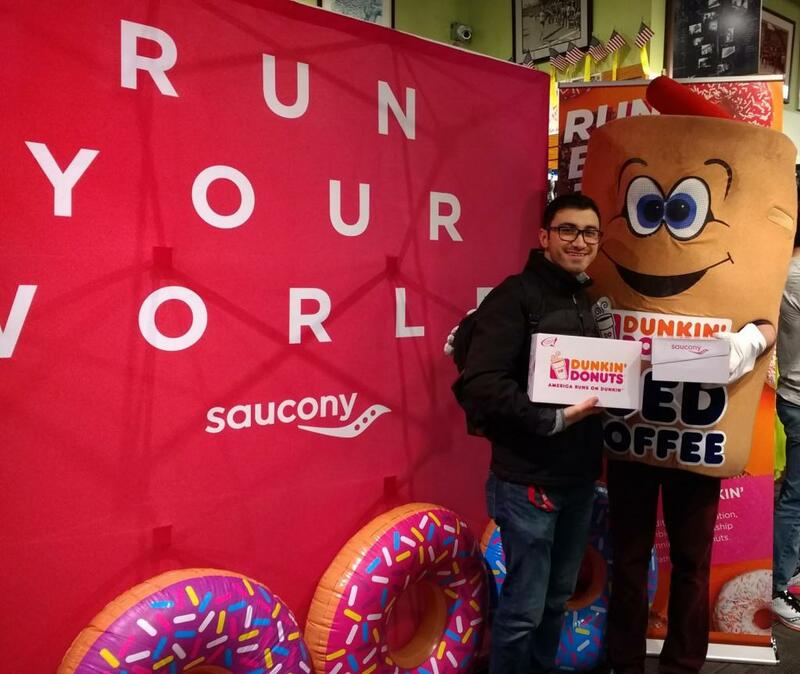 In March 2018, Dunkin’ and apparel retailer Saucony partnered up to create a limited-edition Dunkin’ running shoe. The shoe featured a sprinkled donut on each heel and the Dunkin’ logo on the tongue of the shoe. 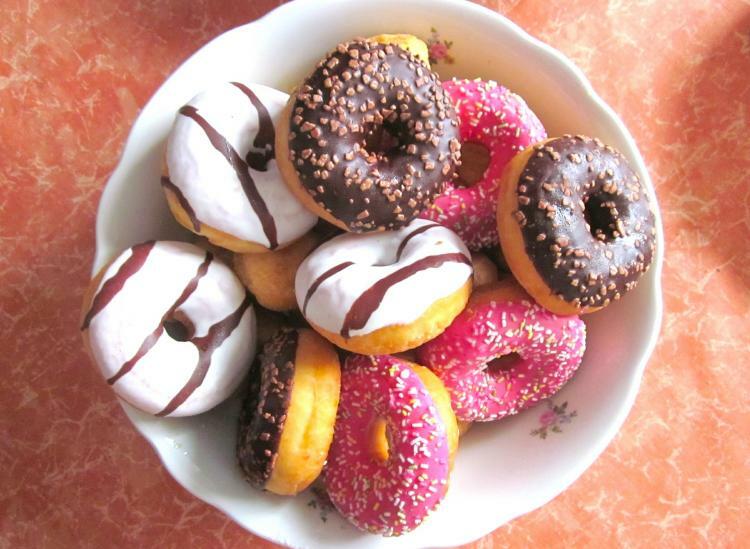 Because there’s nothing like a sugary donut and a good cup of coffee to get you motivated to exercise! 9. Dunkin’ has Girl Scout Cookie-inspired coffee flavors. To celebrate Girl Scout Cookie season, Dunkin’ is serving up limited-edition coffees at participating locations that are inspired by iconic flavors of various Girl Scout Cookies. From now until the beginning of the spring, you can enjoy Dunkin’ Coconut Caramel and Thin Mints coffee flavors, as well as the new Trefoils Shortbread flavor. We’re in. 10. Dunkin’ has been a wedding venue in the past. 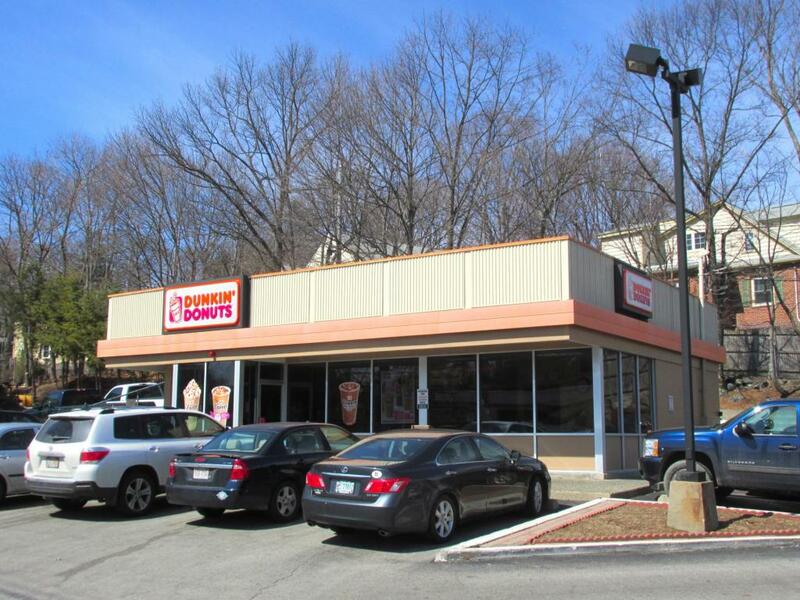 Back in 2010, one couple got hitched inside a Dunkin’ on Route 24 South in New Jersey. The couple said that Dunkin’ was a natural pick for their wedding venue because they were regular DD customers, sometimes hitting a Dunkin’ drive-thru twice in one night. The newlyweds were gifted a basket of coffee, his-and-her mugs and boxes of donuts. Sounds like a sweet deal to us!